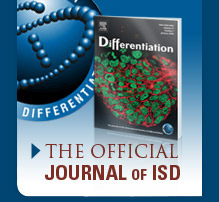 Membership includes an online subscription to the journal and free color plates for figures published in Differentiation. Join the ISD or renew your membership today! Differentiation can be accessed at www.elsevier.com. If you are a current ISD member and need instructions on accessing your online subscription to Differentiation, please refer to our access instructions. ISD sponsors 20+ students attendance to the ISD International Conferences. Competitive program for funding student travel and training. Available to ISD members. ISD offers free student memberships under the conditions below. Eligible students will have full entitlement to membership of the ISD as well as access to the student benefits.For enquiries and applications, please send an eMail to include the points outlined at Point 3, below.The program is limited to three students per calendar year per ISD member. The student must be post-graduate and undertaking a PhD degree by thesis in an area of research of relevance to the ISD (broadly: developmental biology, cell biology, oncology, stem cell biology). The student must be supervised by a current full member of the ISD.